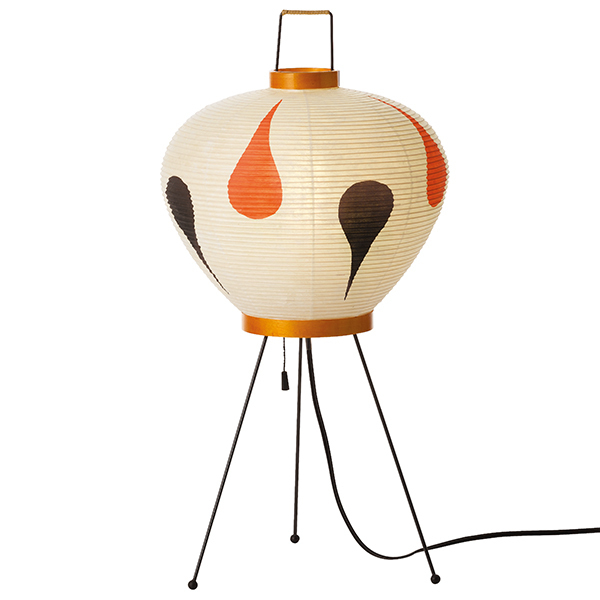 Vitra’s mesmerizing Akari Light Sculptures are sculptor Isamu Noguchi’s modernist interpretation of Japanese paper lanterns. The first luminaires were designed in 1951, while Noguchi stayed in Gifu, Japan and got inspired by the traditional lanterns used by local fishermen for night fishing at the Nagara River. Today, the iconic collection consists of over hundred lightweight table, floor and pendant lights that come in various shapes and sizes. The lamp may have protruding fibres (fluffs). The lamp can be dusted off with a feather duster. The lamp must not be exposed to oil and grease vapours as this may cause it to become stained. Indoor use only. Isamu Noguchi (1904–1988) was a Japanese American artist and landscape architect who is best known for his sculptures and furniture, such as the iconic Noguchi table. A son of the Japanese poet Yone Noguchi and American writer Leonie Gilmour, Isamu was born in Los Angeles, lived in Japan in his childhood and studied at Columbia University and Leonardo da Vinci Art School in New York. In 1927 he founded his first own studio and received the Guggenheim Fellowship. Noguchi also spent long periods traveling and studying in Asia: he studied brush painting in China and pottery in Japan. 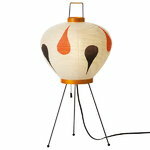 In 1947 Noguchi began his collaboration with the furniture manufacturer Henry Miller. The catalog designed with George Nelson, Paul László and Charles Eames is today considered as one of the most influential collections of modern furniture design. Like his Japanese father, also Isamu saw himself as an interpreter between the East and the West but instead of poetry, his methods were sculpture and design.